Hawaii’s Mountains – Here’s a link to the live webcam on the summit of our tallest mountain Mauna Kea (nearly 13,800 feet high) on the Big Island of Hawaii. Here’s the webcam for the 10,000+ feet high Haleakala Crater on Maui. These webcams are available during the daylight hours here in the islands, and at night whenever there’s a big moon shining down. Also, at night you will be able to see the stars, and the sunrise and sunset too…depending upon weather conditions. Broad Brush Overview: Trades are expected to remain strong through early next week, as high pressure builds north of the state in the wake of a weakening cold front. A band of showers along and ahead of the front will continue to impact Oahu and Maui County, then the Big Island tonight through Sunday as the front advances down the island chain. A secondary band of moisture is forecast to drop south over Kauai and Oahu Sunday night into Monday, which will lead to increasing rain chances once again, especially for windward and mountain locations. Strong trades are forecast to briefly trend down around mid-week as a front passes to the north…then strengthen once again through the second half of the new week. 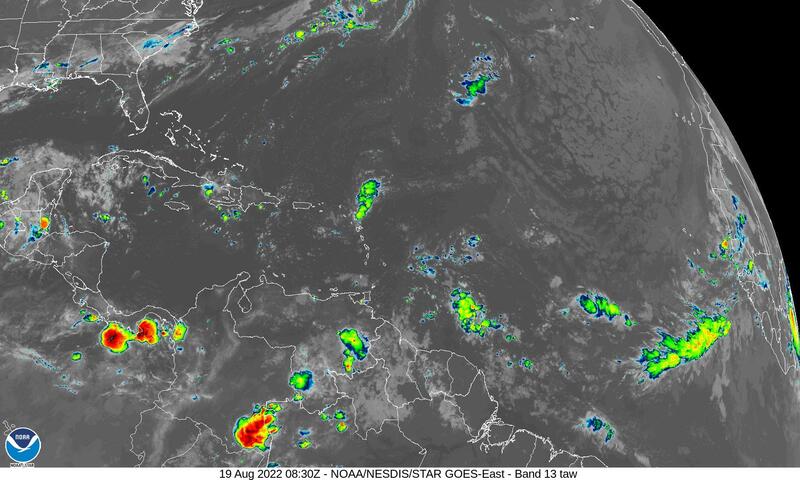 Details: Models show this front bringing increasing showers to the eastern islands. This main band of showers will become established over Maui County, then the Big Island tonight through Sunday. 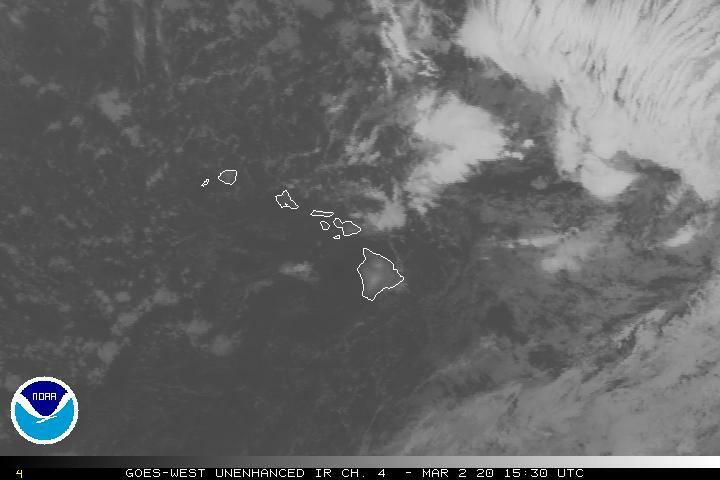 A secondary band of showery clouds, currently north of the state, will drop southward to around Kauai and Oahu and stall, likely bringing more showers late Sunday and Sunday night. In addition to these showery conditions, trades will remain strong as high pressure builds north of the state. A wind advisory has been issued for the typically windier locations over Maui County and the Big Island through Sunday…which may need to be expanded to other areas. Looking Ahead: The models go no to support strong trades holding across the islands. The current wind advisory may need to be extended through Tuesday for the typical windier locations across the state. Trades may begin to trend down by mid-week, as a weakness develops within the ridge in response to a cold front passing by to the north. This downward trend, however, will be short-lived as strong high pressure builds north of the area in the wake of the cold front…through the second half of the week. 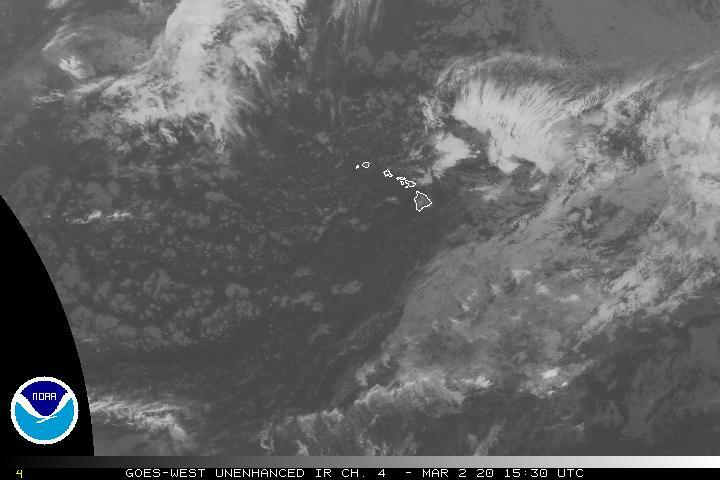 Marine Environmental Conditions: Combined seas will be increasing over the next 24 hours as trade winds increase, and a new north-northwest swell arrives. Boating conditions will be less than ideal as seas grow in exposed zones Sunday. High pressure currently centered far northwest of the islands will track slowly eastward over the next several days, supporting open ocean wind speeds between 20-25 kt near the islands. These trade winds will accelerate around the island terrain to the point that windier marine zones around Maui and the Big Island may see winds near gale force Sunday into Monday. In the meantime, a Small Craft Advisory (SCA) is in effect for all waters due to the combination of strong trades and combined seas, and will likely be required for the next week. The building high will push a couple of showery low cloud bands over the islands the next couple of days. 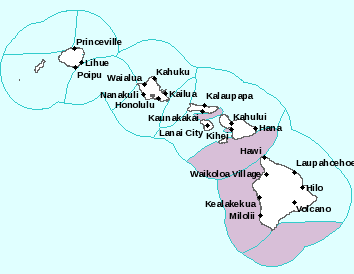 One such area of showers is expected to be most active over Oahu waters and then Maui county waters, as moisture associated with a dissipating front moves down the island chain. Although combined seas remain elevated, due to a gradually diminishing north-northwest swell, surf is expected to be below advisory levels. However, more large swells are headed toward our shores. A new north-northwest swell is expected to arrive and build tonight, peak Sunday and gradually lower through Monday. Peak surf heights with this swell will likely warrant a High Surf Warning for north facing shores of most islands, including the Big Island, while a high surf advisory (HSA) may be required for west facing shores of most islands. The increasing trade winds will also result in rough and choppy surf along east facing shores to the point that a HSA may be required, potentially as early as Sunday. A northwest swell is expected Tuesday and Wednesday, producing advisory-level surf along exposed north and west facing shores, and another north-northwest swell is possible toward the end of next week. Interesting: China Launches 1st Mission to Land on Far Side of the Moon – The first-ever surface mission to the far side of the moon is underway. China’s robotic Chang’e 4 spacecraft streaked away from Earth on December 7, launching atop a Long March 3B rocket from the Xichang Satellite Launch Center. If all goes according to plan, Chang’e 4 will make history’s first landing on the lunar far side sometime in early January. The mission, which consists of a stationary lander and a rover, will perform a variety of science work and plant a flag for humanity in a region that remains largely unexplored to date. That would be the near side. The far side remains forever out of view, and that explains why this obscured surface has yet to welcome a robotic visitor. Communicating with a far-side lander or rover is difficult, because the entirety of the moon’s solid, rocky body would block direct signals traveling to and fro. To solve this problem, China launched a satellite called Queqiao this past May. Queqiao has set up shop at the Earth-moon Lagrange point 2, a gravitationally stable spot beyond the moon from which the satellite will be able to relay communications between mission control and Chang’e 4. The spacecraft’s signals will likely be coming from the floor of Von Kármán Crater, a 115-mile-wide hole in the ground that’s the mission’s expected landing site. Von Kármán is part of the South Pole-Aitken Basin, one of the biggest impact features in the solar system; it spans a whopping 1,600 miles from rim to rim. Chang’e 4 features a total of eight scientific instruments. The landers’ are called the Landing Camera (LCAM), the Terrain Camera (TCAM), the Low Frequency Spectrometer (LFS), and the Lunar Lander Neutrons and Dosimetry (LND), which was provided by Germany. This gear will allow Chang’e 4 to characterize its surroundings in great detail. For example, the LFS will return data about surface composition, while the LPR will tease out the layered structure of the moon’s subsurface. Chang’e 4 will also conduct some radio-astronomy work, taking advantage of the peace and quiet on the far side, which is shielded from the radio chatter coming from Earth. Queqiao is collecting astronomy data as well, using an onboard instrument called the Netherlands-China Low-Frequency Explorer. The spacecraft carries a biological experiment as well: a small tin containing silkworm eggs and seeds of tomato and Arabidopsis plants. Researchers will keep tabs on how these organisms live and develop on the lunar surface. Chang’e 4 marks the latest step in China’s ambitious, long-term moon-exploration strategy. And in October 2014, China launched Chang’e 5T1, which sent a test capsule on an eight-day trip around the moon that ended in a parachute-aided touchdown here on Earth. And then there’s the crewed side of things. Chinese officials have said they want to land people on the lunar surface, though the timeline for this goal is unclear. The moon is not China’s human-spaceflight focus in the near term; the country is working to get a crewed space station up and running in Earth orbit by the early 2020s. Mahalo for your time and daily efforts to bring us the weather and surf reports to our islands peoples. I myself look at your report first everyday and then calculate my time in the ocean and where to go, surfing ,diving ,fishing etc. Your data reports have been very accurate and for this i am taking time to thank you. Much aloha . Keep up the great job.! ~~~ Hi Shannon, how nice of you to take the time to let me know you use my weather and surf information…to map out your daily sport activities! You are very welcome, it’s notes like yours (and others) that keep me providing these daily updates all these years, they mean a lot to me! ~~~ Hi Peter, thanks for filling us in on the current situation there in the Puna District…wow! 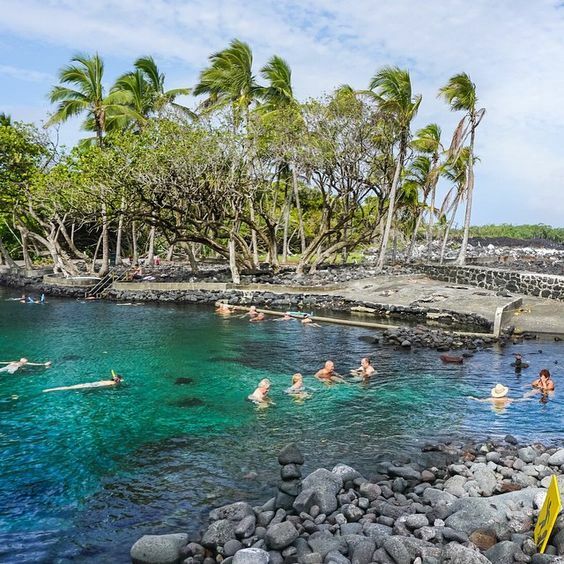 An interesting and topical photo today Glenn, the warm pond at Ahalanui beach park, destroyed earlier this year by the lava flows. Topical because just yesterday the surviving Issac Hale park and boat ramp was reopened. It is close to Ahalanui, the lava stopped right at the parking lot. The county had to cut through a different lava flow to gain access to the park. The boat ramp is useless as the bay is now full of fresh black sand that has created a huge beach where there was not one before. Pictures and the story can be seen on the ‘West Hawaii Today’ website..enjoy. Aloha David. 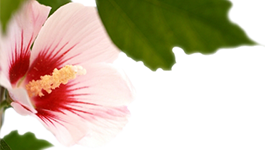 ~~~ Hi David, thanks for chiming in with even more information for that part of the Big Island! ~~~ Hi Jo, thanks for your positive comment about my website…I appreciate that! 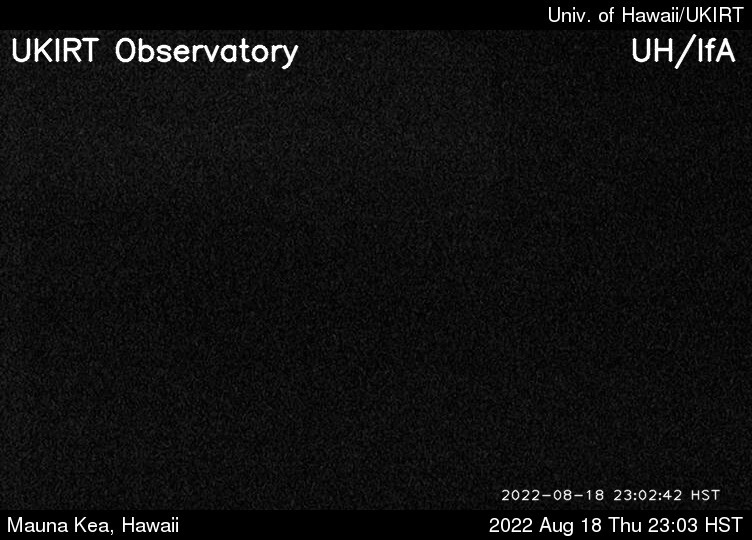 As for today’s picture…it is on the Big Island.